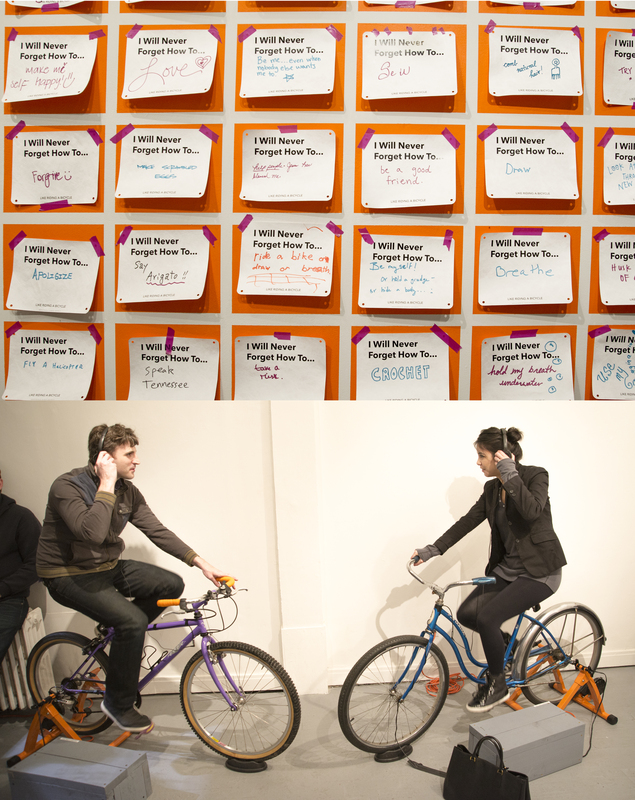 Like Riding a Bike, is a participatory art and bike advocacy project by Brett Hunter and Katie Hargrave. 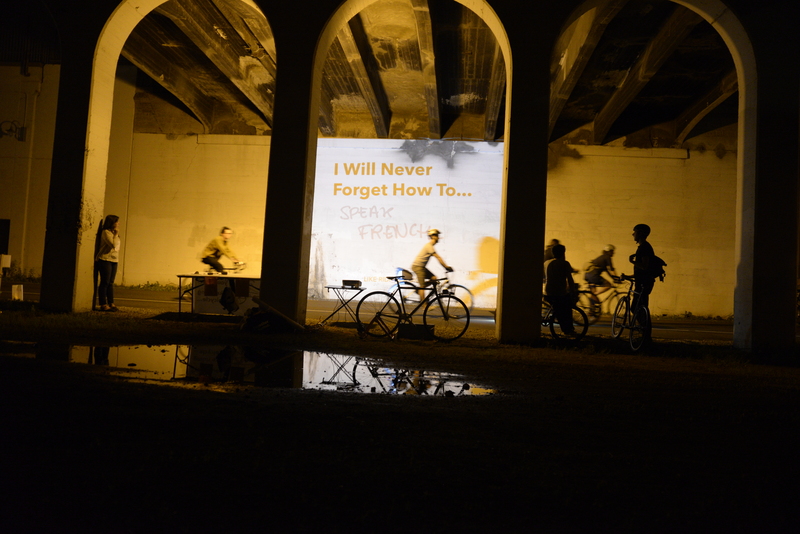 The ongoing project starts with the axiom about memory and ability, “it’s like riding a bicycle,” and creates a platform for conversations about lifelong learning, skill sharing, and cycling. What do we know? How do we learn? What will we never forget?